It's come to this. We now have to grind our own meat. 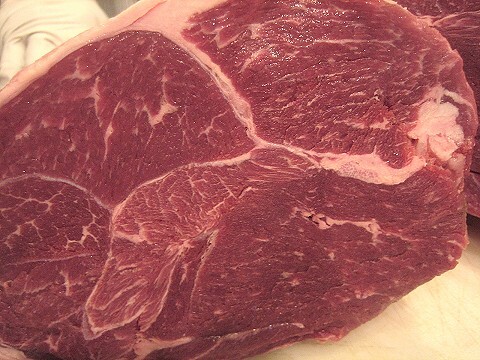 Why grind our own meat? We are not the type of people who like to be martyrs to some cause or some recipe. I do not like to create more work for myself than is necessary. 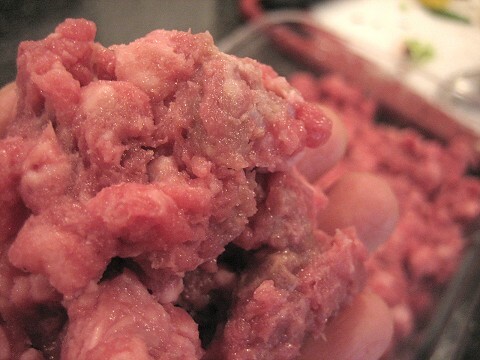 Buying ground meat is probably the easiest meat shopping task there is, since every supermarket or grocery store will always have it in stock. 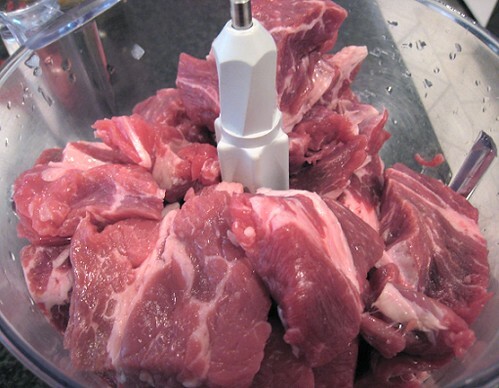 So why go through the trouble of finding the right cut of meat and cranking out the food processor to grind the meat? Well, suffice it to say, sometimes -- no, make that more often than not -- there is value in doing the task yourself. Invest a little time and effort and the final result is often more satisfying. Here are some dishes we are thinking of for our Grinding Meat series. 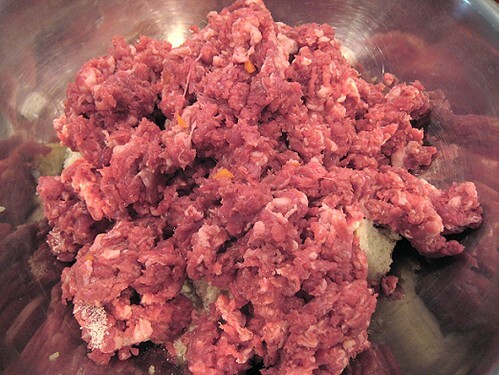 Of course, we can also combine these ground meats in different recipes. I am already thinking of a tri-meat meatloaf, which I think is how it is usually done, although for laziness, we usually stick with one meat. For the lamb, I started with a whole leg of lamb I had in my freezer. I did not bother to trim the fat off of the leg. 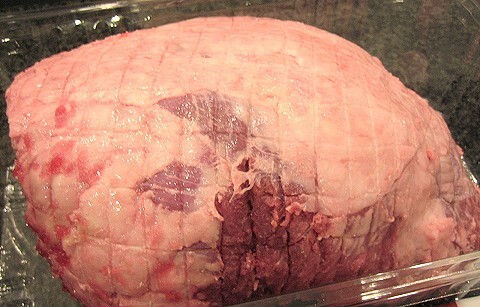 Leg of lamb is usually quite lean and fat is needed to make food taste good. 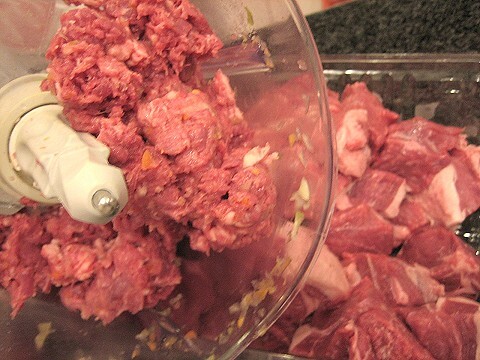 I cut the leg into approximately 1-inch cubes and batch-processed them into our food processor. Pulse. I usually count 15 pulses then check the degree of mincing. I found that it took about 20 pulses to get the consistency that I wanted. I found the fatty bits needed more pulses, so I usually just take them out and put the straggly bits into the next batch to pulse. The bits of celery, onions, carrots you see there are for my lamb ragu. I minced the mirepoix before I started on the lamb. It's a different texture altogether from one made with a "real" grinder, but, it looks good enough for me, so this lamb was ready to be used in my dishes (lamb ragu and Lebanese kofte). For the beef, I used chuck steak. Chuck was on special at my local Choices, so I figured this was a good opportunity to use it for ground beef. 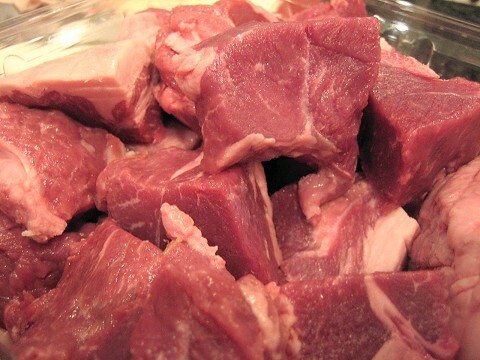 Same deal with the lamb, that is, the cutting into cubes and batch-pulsing. Et voila. Good enough for me and ready to be made into meatballs.